Ask your local quartz representative for the promo code enabling 15% off or 25% on bulk purchases over 4 units. Expressly made by Master Stonemasons for Stone fabricators & installers. Instantly eliminate the guess work of what to use and what not to use. Mason's Mark has been developed for use on all modern stone benchtops during the fabrication and installation processes. As a result trade stone cleaner will not damage any surface finish or brand of quartz including brands such as Silestone, Essastone, Technistone, Quantum Quartz, Caesarstone, Cambria, Marble and Granite. Specially formulated and developed by stone industry professionals the trade stone cleaner is non solvent based, non acidic, non caustic, non-toxic and pH neutral. Effective and versatile cleanser made from biodegradable, food safe ingredients. The biodegradable ingredients were carefully chosen and developed to be powerful enough for use in a fabrication and installation envirnoment. As a result the trade stone cleaner is a premium, streak-free, stain removal solution. Specially formualed to work with modern adhesives for lamination, mitres and joins ensuring the correct bonds are created between the stone and adhesives. Fast easy removal of tooling and other fabriaction marks and grime creates the optimum surface to ensure there is no bleed or grey lines with the laminated or joined area. A very powerful stain remover, yet gentle to create the perfect shine and polish enhancer that is totally safe. Free from harsh chemicals and abrasives that will make your stone benchtops, worktop or countertops dull and lifeless especially on matte and suede finishes. Proprietary formula is food & stone safe, free from harsh chemicals and fumes, truly pH neutral and 100% safe yet effective on Granite, Marble and especially Quartz. Hence is a true stone benchtop cleaner for every stone type including quartz stone, granite, marble. Effectively removes stains & returns the polish, shine and cleanability to all your stone, granite, marble and quartz benchtops. Effective on all types of stains including tough and hard to remove stains without any worry of damaging the gloss or matte surface. Removes tough stains such as stone clamp marks, silicone and adhesvies with ease and without the use of harsh chemicals or scrubbers without fear of damaging your polish & shine while cleaning stone benchtops of any brand or type. Solves the issues around matte finishes and removing stains and marks from fabrication and installation. 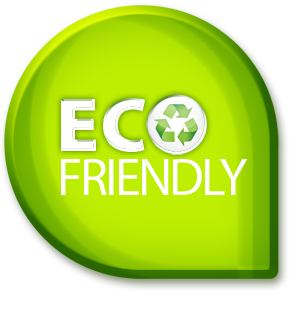 Environmentally responsible, non solvent based, non VOC makes cleaning easier so you use chemicals and environmental pollutants. Creating a surface that is free from all contaminants and protected from fingerprinting and staining is a world first. All Stone & Caearstone Benchtop Cleaning products are green certified, award winning, waste and energy minimizing and including fully recyclable packaging. Thus maximumising recycled content and reduces your footprint on the planet. !00% backed stone cleaning products. Stone Industry experts for repairs, care & maintenance of all stone types and brands. Hence our products are developed by Stone Industry professionals for all stone! Knowledge, understanding of stone are the reasons why our product come with a 100% guarantee. Hence why they work, first time, everytime! Lighty spary an area to be cleaned with Stone Power Cleaner. Allow to stand for 20 secs. The surface is now primed for lamination, joining and mitres. Be sure to do both pieces and just prior to applying adhesive. To remove common occurances like cork slab dots, slab film adhesive marks, slab lifting clamp marks use as above instructions working in section of 500mm2. Allow to stand for 10-20 seconds and wipe off in a figure "8" pattern using a clean cloth. Adhesive & Silicone Removal, wet the area affected. Allow to stand for 30 seconds. Remove any excess adhesive or Silicone with a Diamond Surface Blade. Gentle aggetate the surface with a nail brush or toothbrush. Re-wet with Trade Stone Cleaner and wipe off with a clean cloth in a figure "8" pattern. Note: Diamond Quartz Surface Blades will not damage any stone, nor will they leave a metal or grey mark to any adhesive or stone. Note: all our products will not harm any quartz, stone or finish incluidng matte, polished and marble looks. Refer to our Care & Cleaning Essentials for Stone & Quartz. It will help you resolve any issues with any stain refer to pages 14-17. Lighty spray an area to be cleaned with Stone Power Cleaner. If the stain remains refer to the care & cleaning essenitals for stone and quartz. Repeat steps 1 and two with the addition of two drops of Stone Spot & Stain Remover and allow to stand for 30 seccond to 2 minutes. Repeat steps 1 to 5 if the stain partly remains. NOTE: some stains are not actually stain and are actual damage to the stone surface. Refer to our Care & Cleaning Essential on page 5 for further details. Matte, suede or honed finishes are no harder to look after than a polished surface with the use stone bencthop cleaner products. Stone Benchtop Cleaner has produced a comprehensive, easy-to-read guide to maintaining your stone & quartz benchtops including brands like Caesasrstone, Silestone, Quantum Quartz, Technistone, Smartstone, Qstone,YDL, Samsung Radianz, LG Viatera, Cambria. MSI, granite, marble and all stone surfaces. Stone Benchtop Cleeaner's Care & Cleaning Essentials for Stone & Quartz s divided into clear sections for easy use -daily cleaning, heavy duty cleaning, light regular cleaning, stain removal and tackling special problems such as rust, fingerprints and matte surfaces.